The redesigned Nissan Murano: Hot as a firecracker. NASHVILLE -- A wider pipeline of Sentras, Rogues and Muranos helped Nissan outsell its bigger Japanese rival Honda in January. Nissan brand retailers sold 94,449 vehicles in January, a 16 percent increase over January 2014. By comparison, the Honda brand reported sales of 90,202. Nissan has been attempting for the past two years to supplant Honda as the U.S. market’s No. 2 importer on a long-term basis. The results translated into Nissan’s all-time best January. Fred Diaz, Nissan’s senior vice president for U.S. sales and marketing and operations, declined to speculate on how Nissan’s market position with Honda might shake out in the coming months. Diaz and other Nissan executives have been asking for more factory volume for the past year and are now getting it, he says. Sentra, which is built in two plants in Mexico, delivered a 58 percent sales increase to 14,395 in January. The Rogue is now being triple-sourced for the U.S. -- from Smyrna, Tenn., as well as factory lines in South Korea and Japan. The new-generation Murano changed from Japanese-import to U.S. production late last year in Canton, Miss. 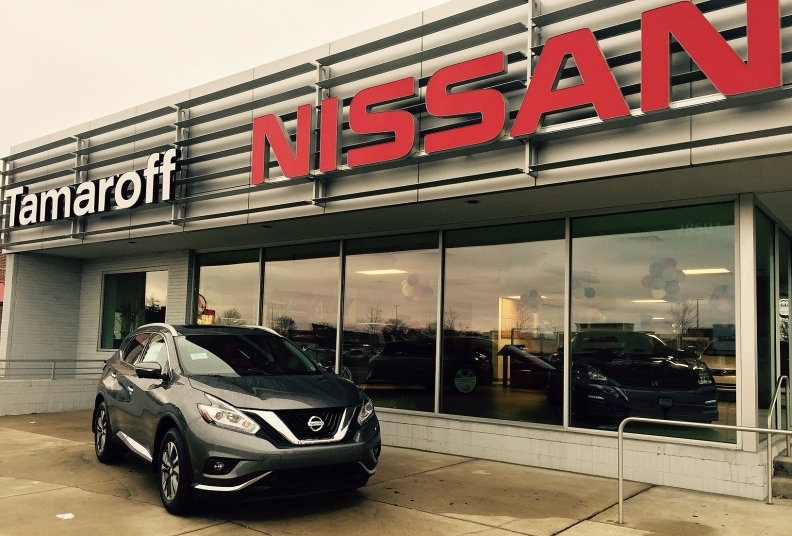 Rogue sales increased 13 percent to 15,649 in January, while the new Murano jumped 72 percent to 3,773 sales. “The Murano is hot as a firecracker for us,” Diaz says. Separately, January Infiniti brand sales rose 7.3 percent to 9,658. Sales of its full-size QX80 SUV totaled 1,248, an increase of 22 percent from January 2014. Combined Infiniti and Nissan brand results gave Nissan North America sales of 104,107, an increase of 15 percent from a year ago.